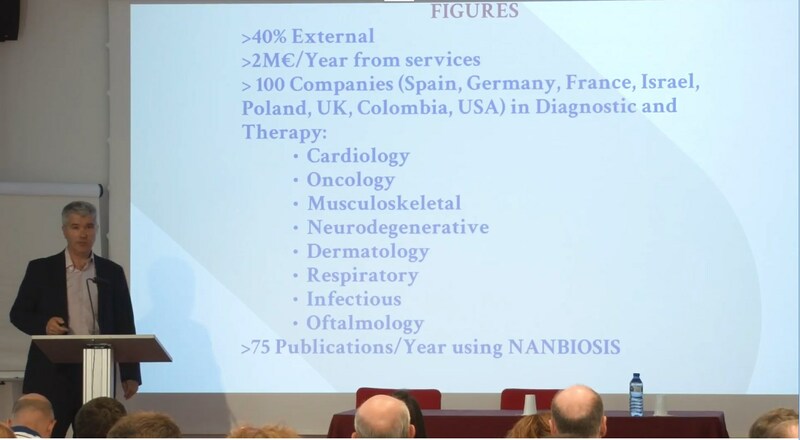 NANBIOSIS develops on demand projects and cutting edge biomedical solutions. You are here : Home / ICTS / NANBIOSIS develops on demand projects and cutting edge biomedical solutions. In this video, Jesús Izco Ex. Director of NANBIOSIS, presents NANBIOSIS as one of the 29 ICTS that currently make up the national ICTS map. It consist consists of 27 units grouped into five platforms which ofer their services under a single contact point and develops on demand projects and cutting edge biomedical solutions in different biomedical applications such as biosensors, live image, contrast agents, therapeutic agents, regenerative medicine, drug delivery, among others.